HMD Global on Tuesday launched the much-awaited Nokia 3, Nokia 5, and Nokia 6 Android smartphones in India. And I was just thinking that many of you might have been waiting for the availability of these devices curiously that when these devices will finally be available in India. Well, the wait finally ends now. If you have been considering to buy any of these devices anytime soon then I think this post is going to help you in buying the right one for you in all three of them. 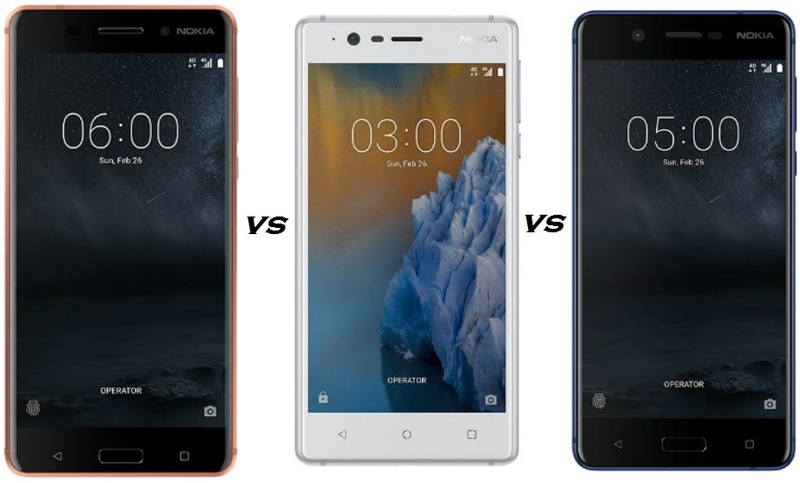 So, just follow the post, here I will be discussing about Nokia 3 vs Nokia 5 vs Nokia 6 Comparison, and Which One You Should Buy. Let’s first start with the new Nokia 3 design and features. If you are one of those who is looking for a premium-looking handset at a budget then you must have a look at the Nokia 3. It features a polycarbonate body and metallic frame on the sides. The handset looks pretty much similar to Nokia’s Lumia 920 that was a great windows phone from Nokia. For specifications, the Nokia 3 has a 5-inch HD display, that means you get 720p resolution on the display, it runs on Android 7.0 Nougat out of the box, it comes with 1.3GHz quad-core MediaTek 6737 SoC processor coupled with 2GB of RAM. It comes with 16GB of inbuilt storage, which is expandable up to 128GB via microSD card support. On the camera front, it includes an 8-megapixel camera on both the front and back. The Nokia 3 packs a 2650mAh battery and measures 143.4×71.4×8.4mm. Nokia 5 features a unibody design made from a single piece of precision-milled aluminium that definitely gives a premium look to the device. The back it features curved round edges for a smooth, rounded shape, which the company says is a “perfect fit for those who need great design, specs at its price.” I would say, overall a good looking phone from Nokia. The Nokia 5 sports a 5.2-inch 720p HD display. It runs on Android 7.1.1 Nougat and is powered by the Snapdragon 430 processor coupled with 2GB of RAM. It comes with 16GB inbuilt storage and also supports expandable storage via microSD card (up to 128GB). On the camera front, Nokia 5 packs a 13-megapixel camera on the back and an 8-megapixel camera at the front. Nokia 5 also features a fingerprint sensor embedded in the home button and it packs a 3000mAh non-removable battery which I think would be quite enough to last at least one day long with that 5.2-inch 720p display. 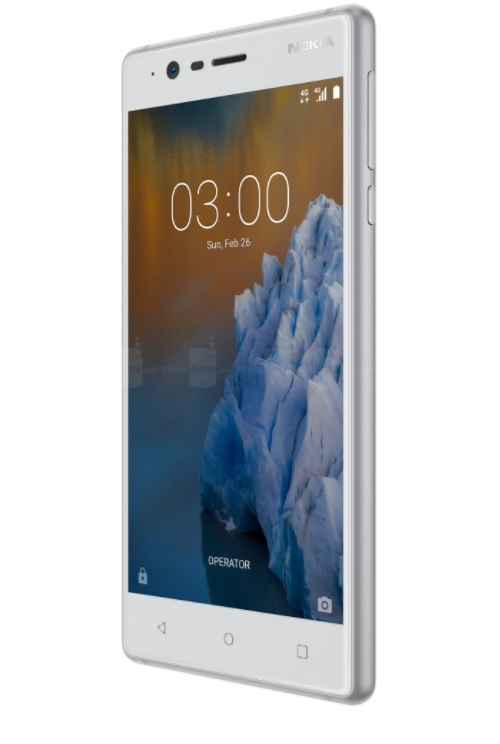 Nokia 6, I would say is the best-looking smartphone among the three that also features quite an impressive hardware and software specs on the device with its aluminium unibody design. It features a 5.5-inch full-HD 2.5D 1920x1080p resolution display with Corning Gorilla Glass protection. The Nokia 6 runs on Android 7.0 Nougat and is powered by Snapdragon 430 SoC coupled with 3GB of RAM. The handset packs 32GB inbuilt storage and support microSD cards up to 128GB capacity, it also features and a fingerprint sensor embedded into the home button on the front and houses a 3000mAh battery. The Nokia 6 will be available with 5 different color options including a limited edition glossy Arte Black. On the camera front, the Nokia 6 sports a 16-megapixel rear camera, while on the front it features an 8-megapixel shooter and both cameras come with a f/2.0 aperture. You can find the Nokia 6 and 3 sample camera images here. The handset features dual stereo speakers and Dolby Atmos audio enhancement. The Nokia 6 has been priced in India at Rs. 14,999, and registrations for the first sale will start on July 14, Nokia 6 will be an Amazon India exclusive that means the smartphone will not be available for sale through offline stores but the company has not yet announced when the smartphone will go on sale. On the other hand, the Nokia 5 has been priced in India at Rs. 12,899, and it will be available for pre-booking starting July 7 through offline channels only. In a press release, HMD Global said Nokia 5 pre-bookings will be carried out via select mobile retail outlets across Delhi NCR, Mumbai, Bengaluru, Chennai, Chandigarh, Jaipur, Kolkata, Lucknow, Indore, Hyderabad, Pune, Ahmedabad, and Calicut. At the end, the Nokia 3 will go on sale at a price of Rs. 9,499 in India, and will be available exclusively via offline retail as well from June 16 and will not be sold online. Moreover, all these three Nokia smartphones also come with 4g VoLTE support that means you can use your Jio sim on all these three devices which are a good thing. Which One Should I Buy Nokia 3, Nokia 5, or Nokia 6? Well, now when you have all the details regarding specs, Indian pricing, and availability for all three devices, you might be thinking about that which one of theses smartphone you should buy. Well, I think all these three devices features quite an impressive specs and features in terms their respective pricing. If your budget is low and you can’t just go with any other brand except Nokia then I would say that you can go with Nokia 3 which I think justifies its pricing for what it has to offer. But if you can spend 2 to 3 thousand more then I would say that you go with Nokia 5. Please don’t take me wrong but if you can think about any other brand except Nokia here then I would suggest you to have a look on Red Mi 4 smartphone which I think offers far better specs and features than the Nokia 3 at the similar 9k price range. Talking about the Nokia 5, I would say that, the smartphone offers a really good looking design, features, and specs at a very reasonable price of Rs. 12,899. 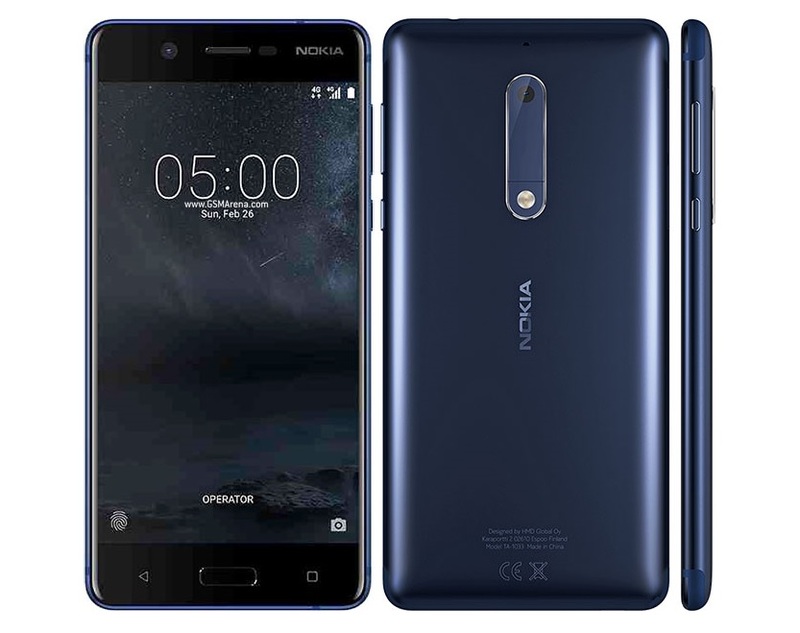 If you compare it with Nokia 6 you will hardly find any big difference in terms of specs what Nokia 5 has to offer except its 720p display, where Nokia 6 features Full HD 1920x1080P display. So, if the display resolution is not a big issue for you then I would say that go with Nokia 5. 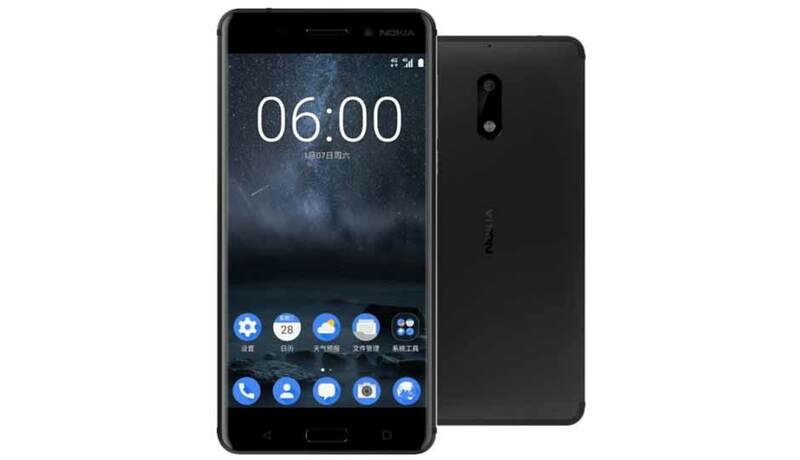 At the end, we have the Nokia 6, which offers quite a similar specs and features from the Nokia 5 except its larger 5.5-inch full HD 1920x1080p display a bigger 3GB of RAM and the 32GB internal storage. So, if budget is not an issue for you and if you can spend somewhere around 14 to 15 thousand then I would recommend you to go with the Nokia 6. Buying a smartphone is all depends on what you really need in a smartphone and that’s something which makes your smartphone buying easy. If your budget is low you can simply buy the Nokia 3, if you can spend more then you have the second good option the Nokia 5, but if your choice is a bigger 5.5-inch full HD display, more powerful RAM and higher internal storage then you have the Nokia 6 to consider. Hope this article will help you out in buying the right Nokia smartphone for your need. If you have any question or thoughts you can just share it with me in the comment section down below.